5月、個展をします。solo painting show. eng info below. each day I be there. ●1階立ち飲み 4-11pm Ground floor is standing bar. 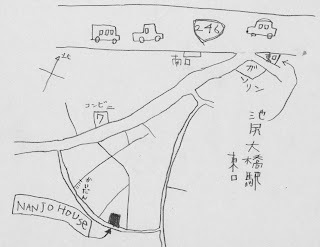 ●ギャラリーは2階です Upper floor is the gallery. 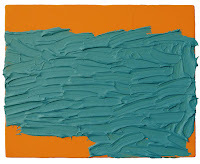 kiborio works on a canvas and paper. at 桃居/toukyo in Nishi-azabu TOKYO japan. on the particular dates of April 7th - 30th 2018. First day is opening party. Drink to art. Days which the gallery will open are following. Other days are closed. 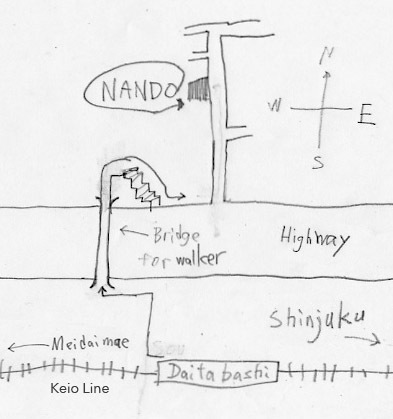 There is a Japanese style cozy standing bar, named 納戸(nando) on ground floor. Upper floor is the Gallery Den 5. 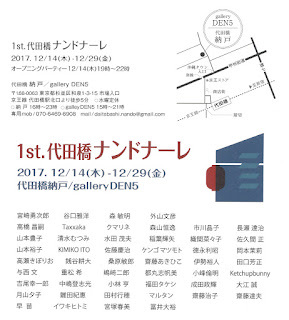 All those are run by people who has run the gallery 現代ハイツ(Gendai Heights) before, in Shimokitazawa,Tokyo. I love the gallery since Gendai Heights. So I join in the group show as in festival mood.Small one will be shown. They don't have a website.That is why you should search a information on the web until be sure the place. We will Introduce 4 painters above. Me and Nanjo, each chose 2. 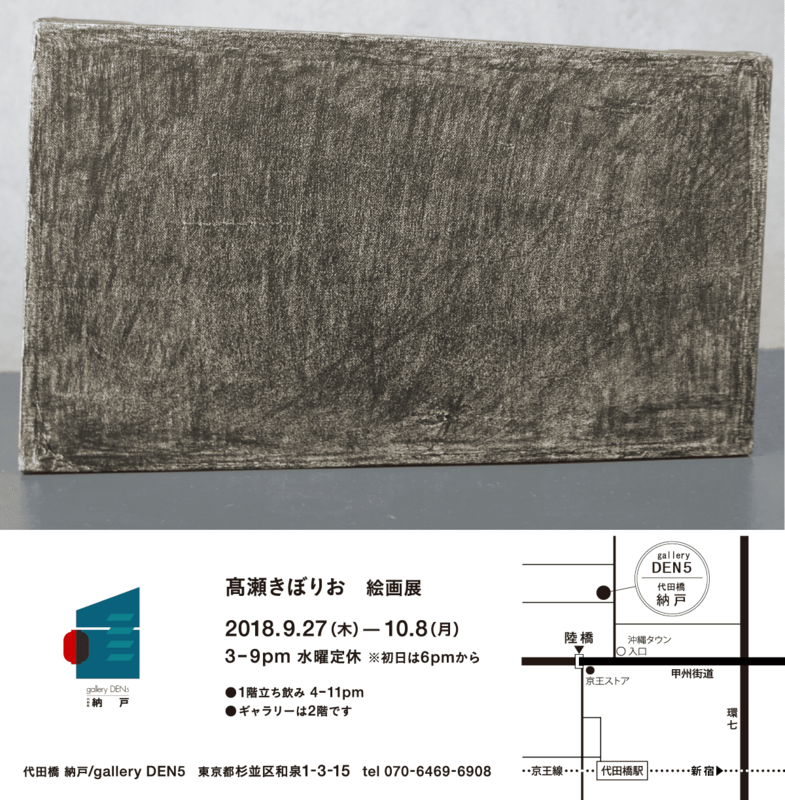 This is a group show only for 1 day ,namely only opening-party. I've planed ,because I want art among people. At first, there are them paintings. And then drink to Art. It's potluck. Your some more drink, welcome. 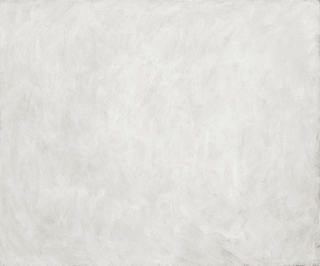 It's like a game as on a white square. 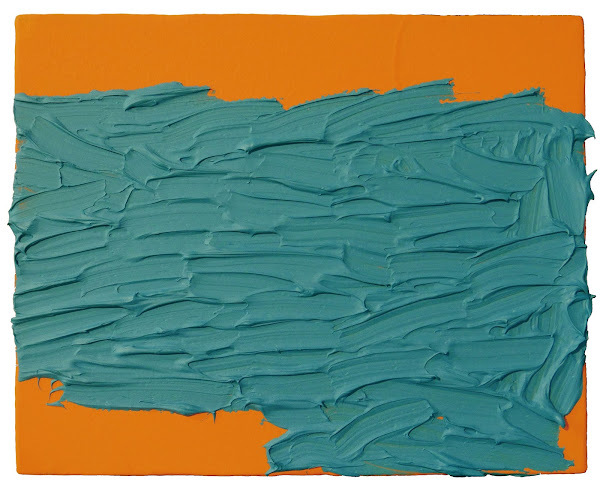 Motives or subjects ain't necessary but it's necessary to apply paints on, to me. However, sometime a form arises. 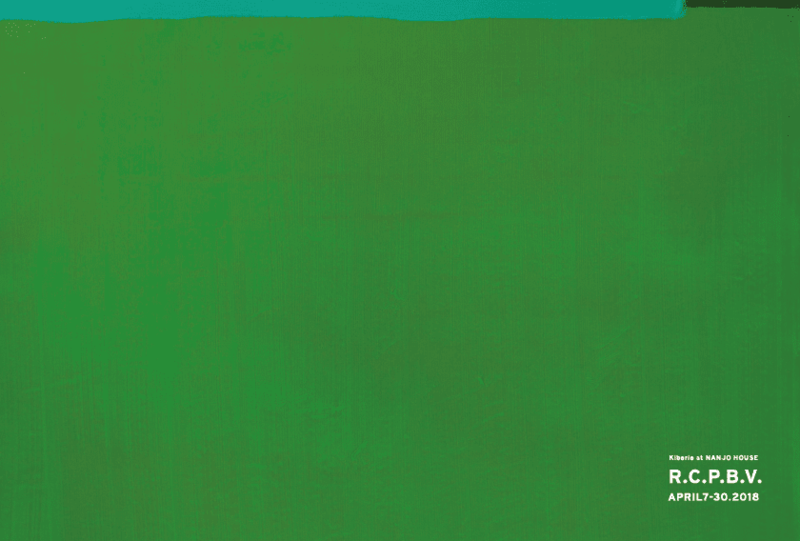 The other day as I was painting such like that, I realize that a dot is not a unit of painting. A dot is a print. 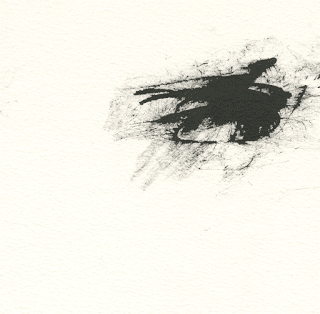 So I recently get started to think that a painting requires more than one dot or requires one line at least. 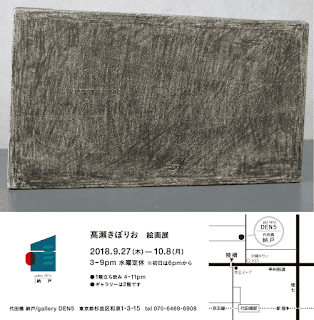 You know, I have a show at gallery TOUKYO in Nishi-azabu Tokyo. 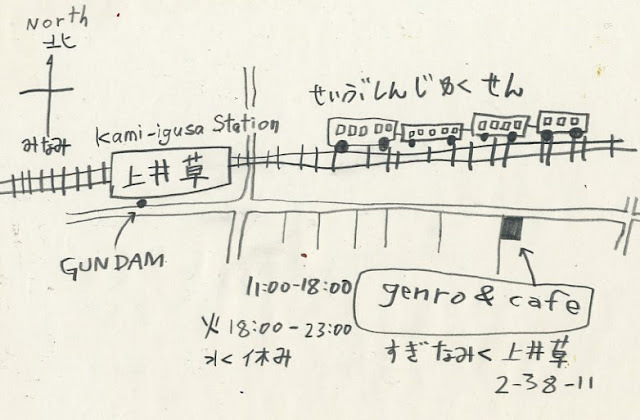 To get the gallery, you need to walk much from each stations. 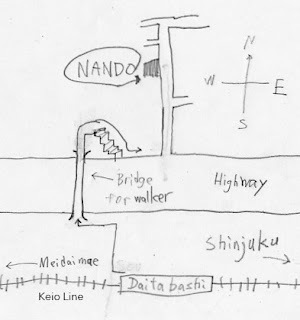 I recommend to walk from Omote-sando station, and go past the NEDU MUSEUM. 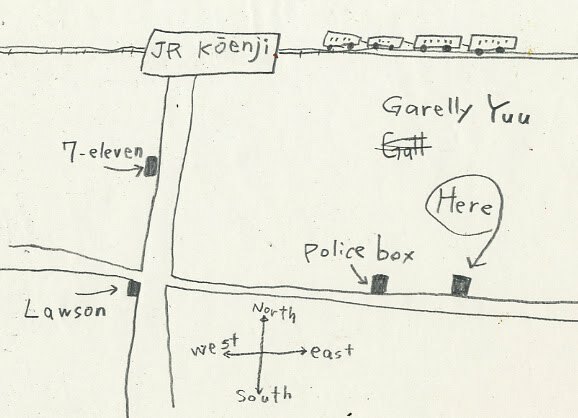 10 min from the JR station"Nishi-Ogikubo"
join in a groupe show at "Gallery Cafe 3" in Koenji, Tokyo Japan. 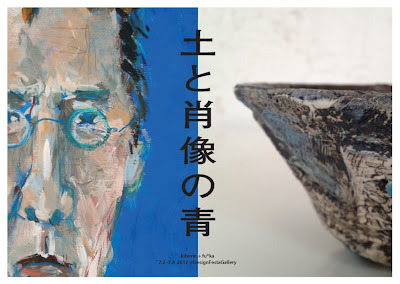 A show "POTTERY OF THE NEW SCHOOL" is coming by kiborikokiborio (Wataru HATANO ,Misako SHIMAYA ,Kiborio TAKASE) who has wanted to be a potter but couldn't. @Gallery Mizunosora, tokyo. 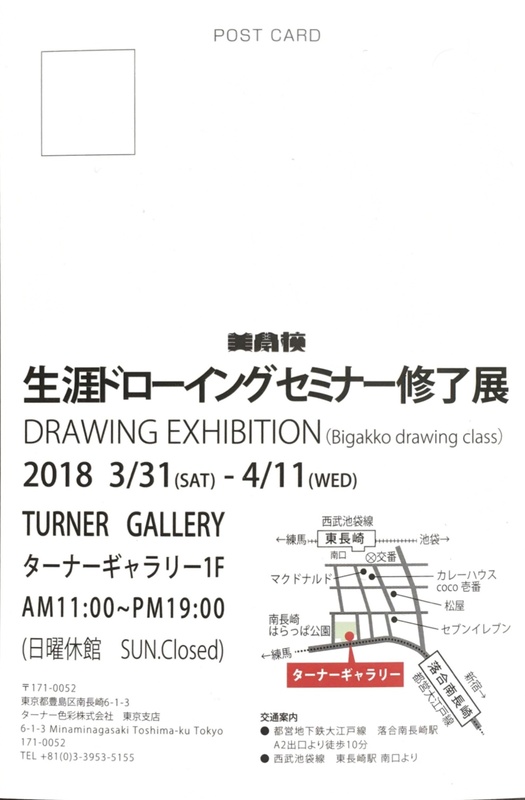 Group show of a drawing class. @TURNER GALLERY, tokyo. SUN closed. 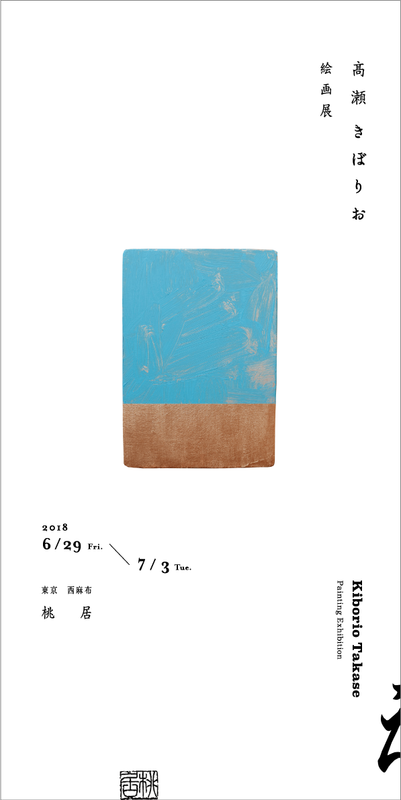 Group show of a new school of pottery by kiborikokiborio (Wataru HATANO + Misako SHIMAYA + Kiborio TAKASE) who have wanted to be a potter but couldn't. @Gallery Mizunosora, tokyo. all works there will be new. Septembre 12-27,2015 only on Sat,Sun,Wed and public holiday. 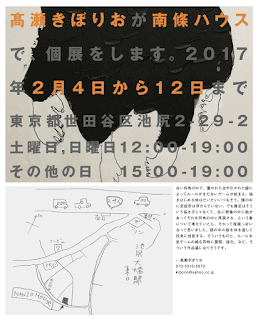 Two of kiborikokiborio will use the Gallery MIZUNOSORA to resemble a museum, and show reproductions we did from a famous painting. As the Guernica by Pablo Picasso,from right side and left side, the Girl with a Pearl Earring by Vermeer, from up side and down side, we two start drawing same time same paper like that. Materials are crayon and water color. As a famous painting 19 century, gold paints and gold paper. 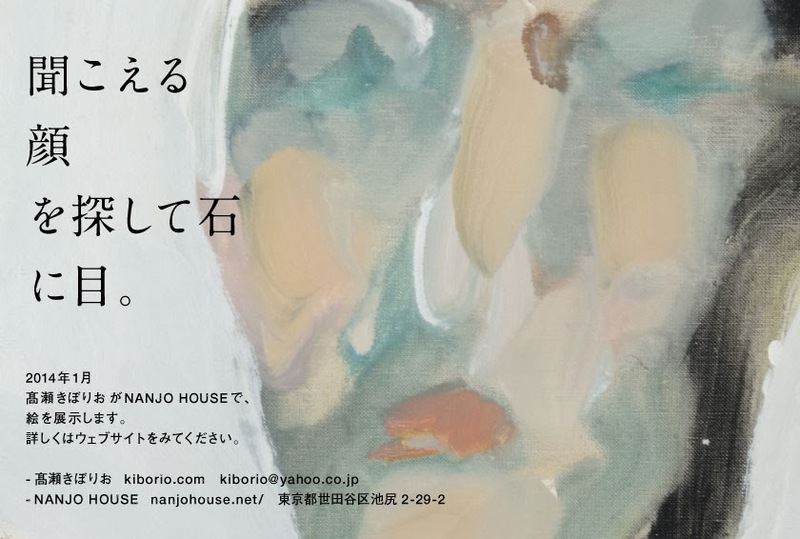 -kiborikokiborio is a name of the group consisting of two; painter kiborio TAKASE and graphic designer Misako SHIMAYA(FYI family). 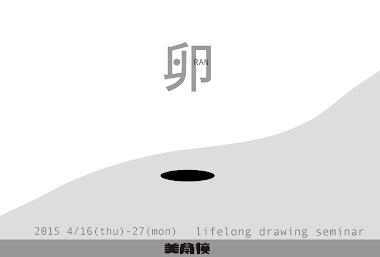 ■Graduation works of lifelong drawing seminar in Bigakkou. Party on Apr 18th SAT, 6pm. 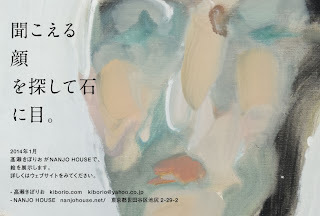 We are gonna take a groupe show at the gallery "NANJO HOUSE" in Ikejiri-Ohashi, Tokyo, Japan. 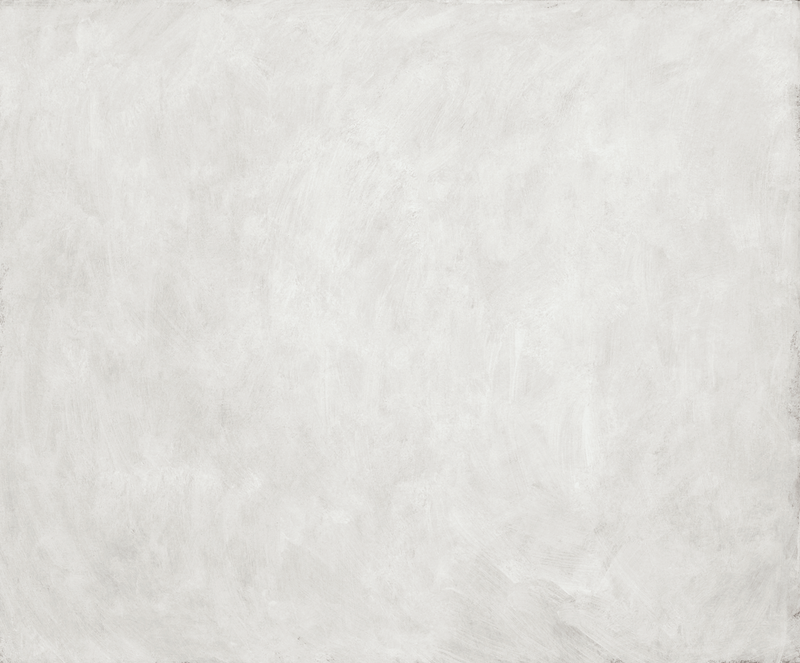 The other day, we 4 artists painted the wall white at the gallery. So, it will be a white wall conscious work, I bet. We hope you find pleasure on a sense of improvisation or present. It must be different from solo show that needs much long preparation period. Ffirst-timers and also regulars, please come. *Open day and time is irregularity. 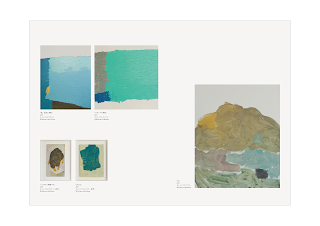 TALK SHOW OF PAINTING,PAINTING,AND MUSIC. 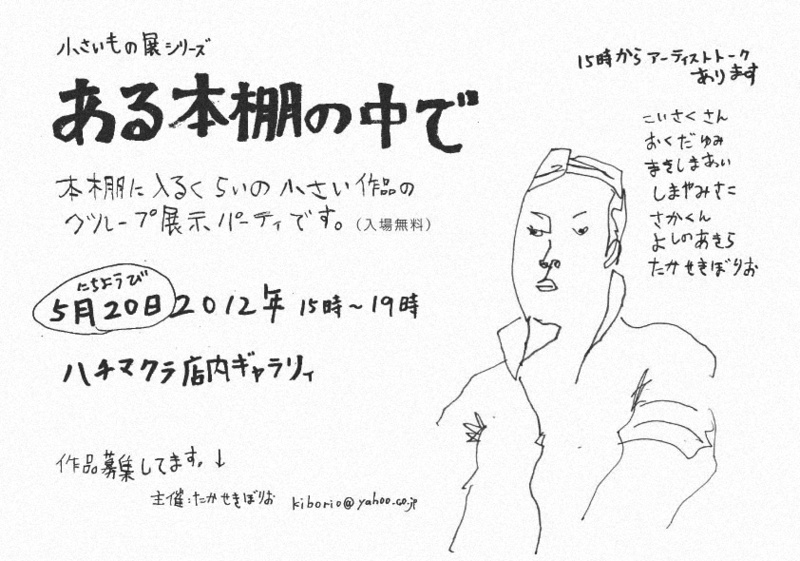 Three men who make something will have a dialogue(in Japanese) at the bar PELICAN ERA in Koenji,TOKYO. Our works will slip into bookshelves at Cocktail the japanese pub and antique bookshop on the Kitanaka street in Koenji. 3 artists make something for this project. We want you to handle the works, like a book. And we do so strait with no hesitation. You can buy it ,if that have a price, same as a book. fixed holiday is Tuesday ,second and fourth Monday of month. 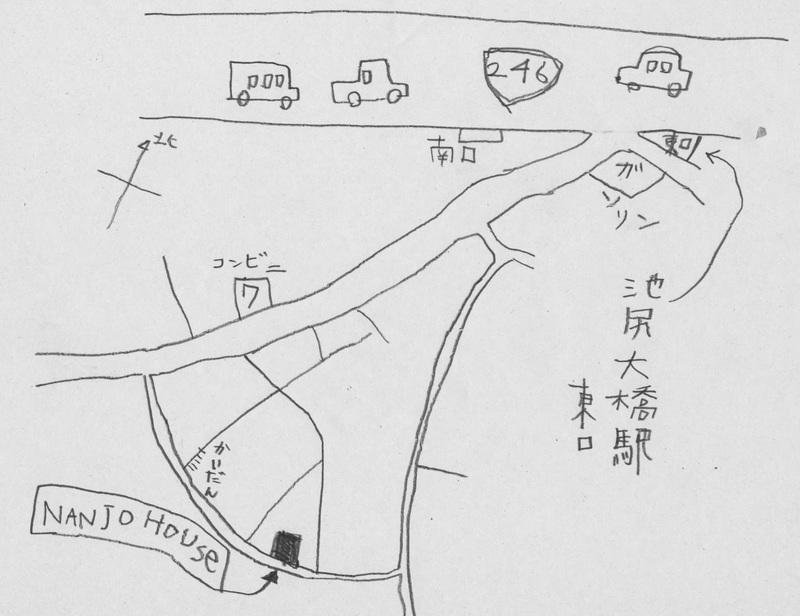 January 2014, I have a show at NANJO HOUSE in Tokyo. That will open on Saturday and Sunday and other public holiday between 11th and 26th of January, and I'll be there. All the other days are closed. On weekday I may or may not stay, so you make a preliminary contact me. 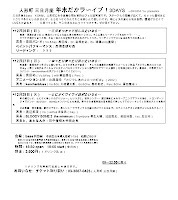 Cray and Paper will be In Hachimakura. 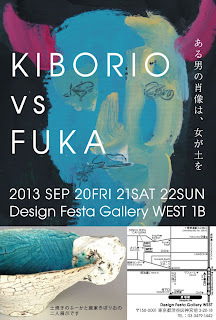 I'll have a show with fu*ka ceramic artist. The show with her is second time. 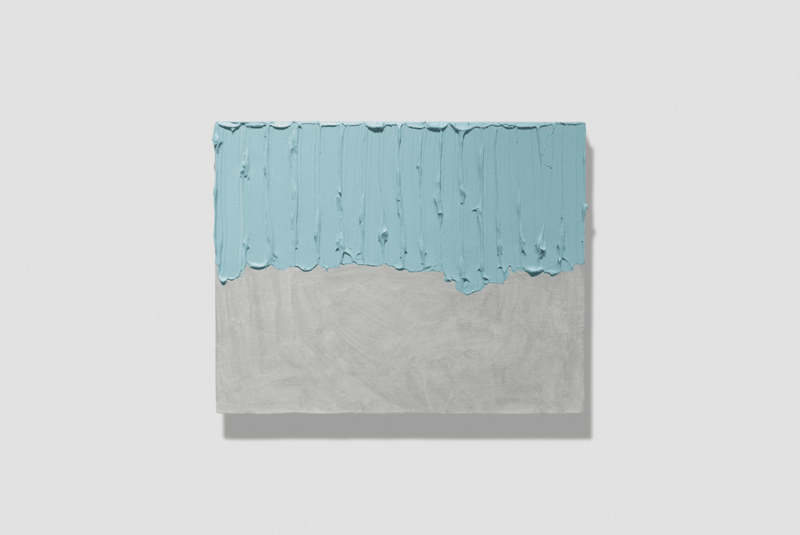 In previous show, we made works around blue. On this time we will try how suit most simple part of us each other. 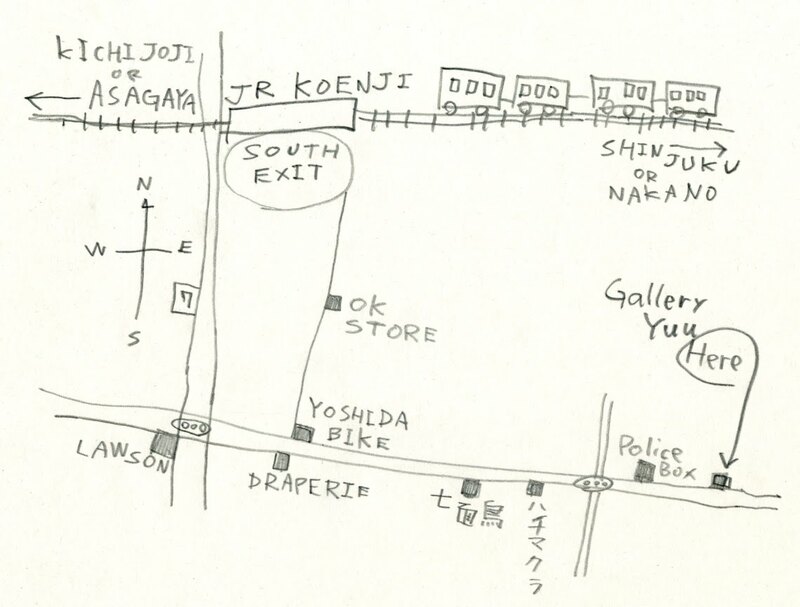 I have a show from Aug18 untill 25 at "GALLERY YUU" (Koenji-minami 4-12-6). I show current abstract works. Collaboration between Fu*ka,a ceramic artist,and Kiborio,a painter. 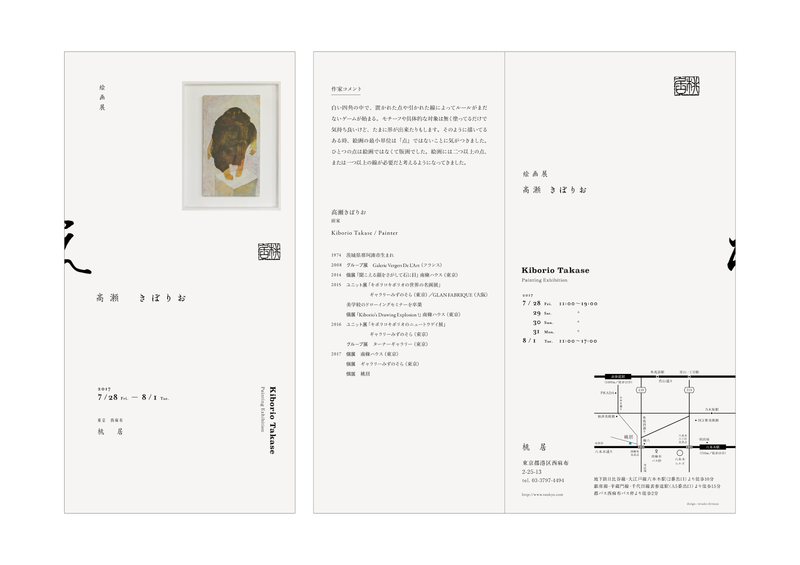 July 2 untill 8th 2012.
on July 7 Asaka IGARASHI plays the cello there. 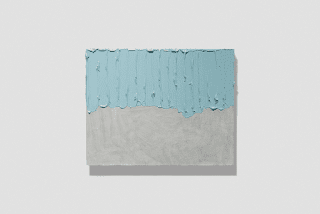 The group show of works as small as it can be in a bookshelf. 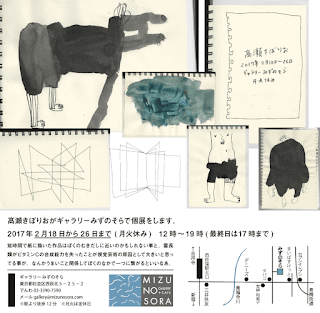 Artists will start talking about the works at 15:00. The event must give valuable time with local artists also to a tourist. At the gallery in Hachimakura. at every night,a paid event that is not dealing with us will be held. on Sunday:only night event that will be held another organizer. at a cafe "FLYING TEAPOT" in Ekoda TOKYO, Japan. 4 other artist's works will be there. 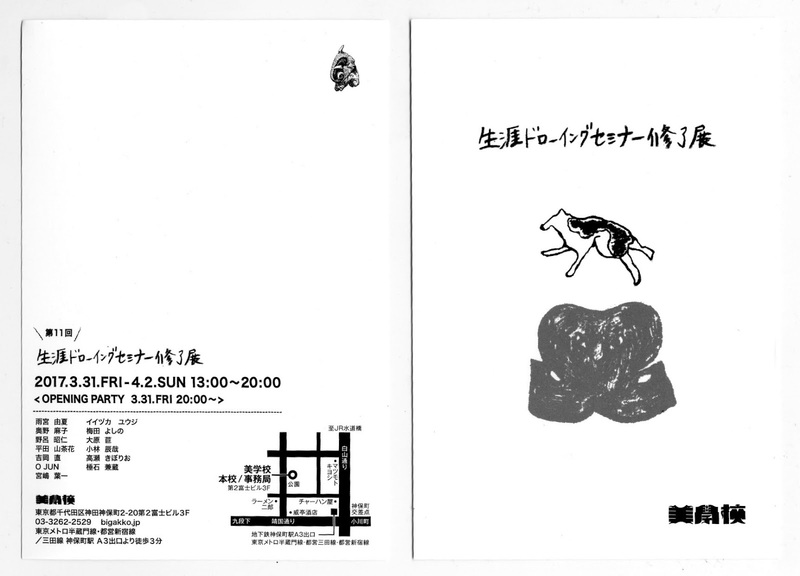 I'm gonna join in the group show at Shizuki from June 17 until 25 ,2011. We'll show book jackets mainly. From 7 to 22 MAY. Groupe show at the cafe & gallery "Hijinowa" in Mashiko. Tochigi, Japan. 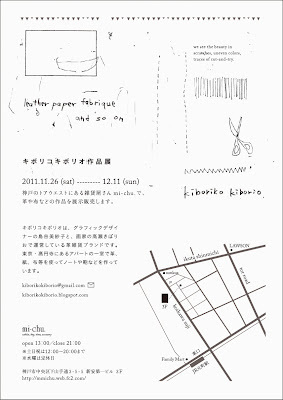 Shimaya Misako and I are running a tiny studio about leather,paper and fabric craft named "kiborikokiborio". 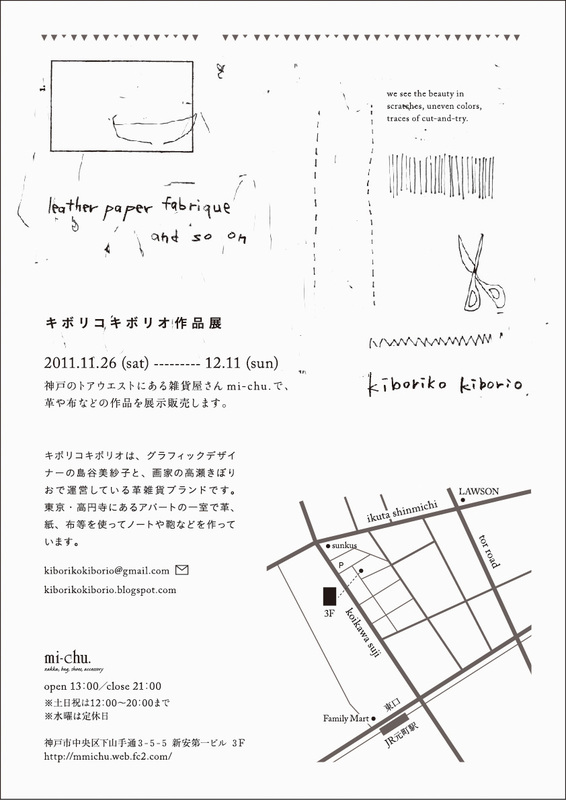 And we are going to have a show at Hachimakura in Tokyo,Koenji. 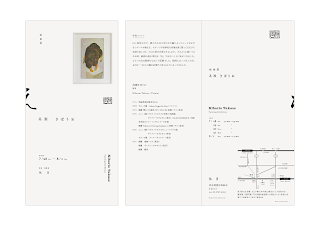 Then each of us will also show personal works. 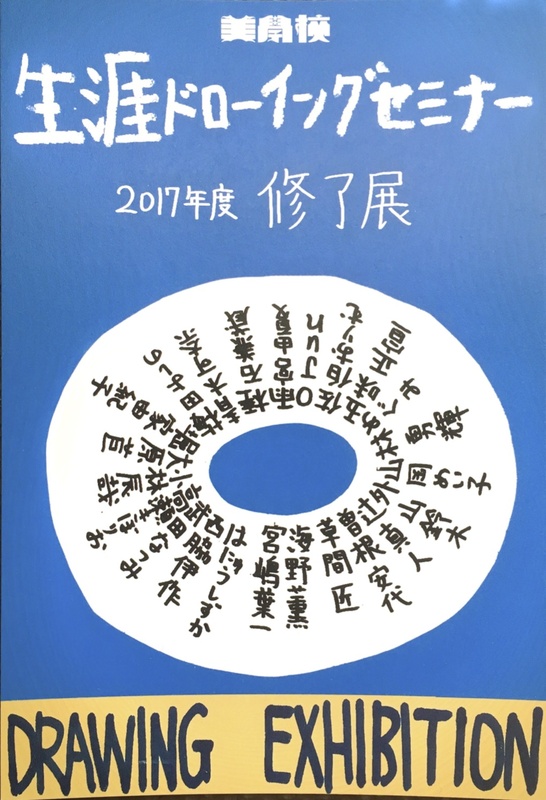 Especially Shimaya's personal works ain't frequently on show. So don't miss it. Please buy a drink or food, because of cafe. No entrace fee. 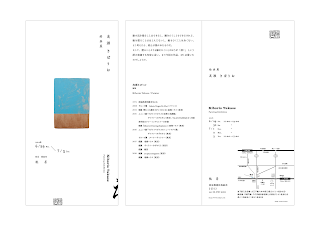 -- On Mar25Fri, Asaka IGARASHI will play cello music that motivate me to make recent works. 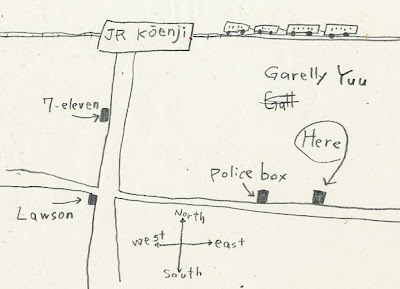 -- On Mar21Mon, around noon I'll be at cafe Mikzukiza in Ningyo-cho. 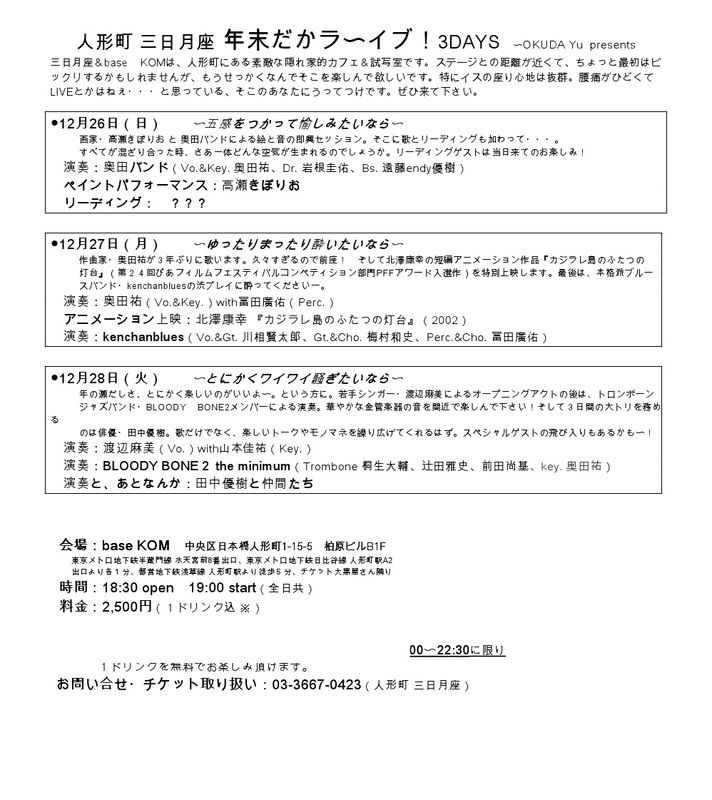 **I'm gonna donate 40% of sales in this show to people who live in disaster area via the Japanese Red Cross Society. ■ Groupe exhibition at lavatory of ART MANIA CAFE GALLERY in Yokohama. On FEB 26 Saturday, ARTIST FREEMARKET will be there by the gallery. We all members will attend.Start at 13:00. 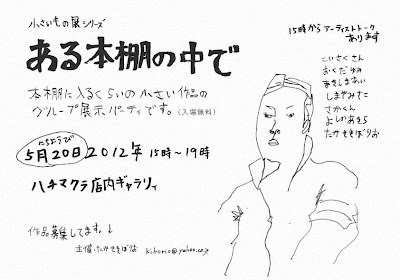 WINTER JAMBOREE in SHIODOME, for art & craft. 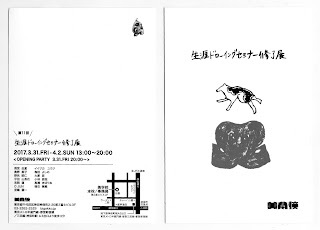 "YANAKA PEKE ICHI" that is open air market for art & craft & antique. SHOW presented by OKUDA Yu. 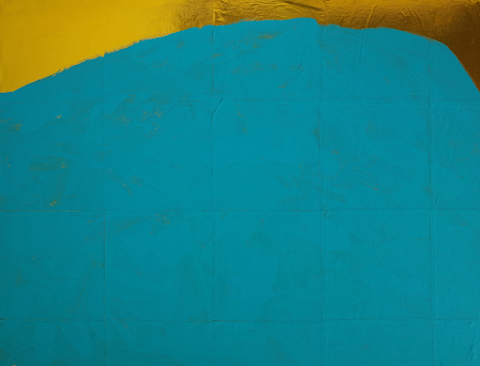 3musicians + painter + actor ,live performance. Fee ¥1000 Welcome with your alcohol. 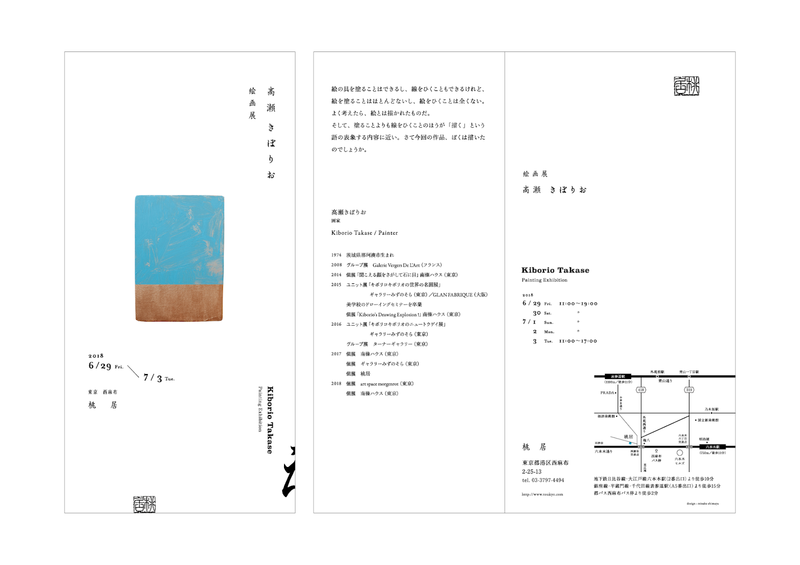 15:00 one by one, talk about chosen works and reason and so on. why don't you ask something to artists? I recomnend sell the works. 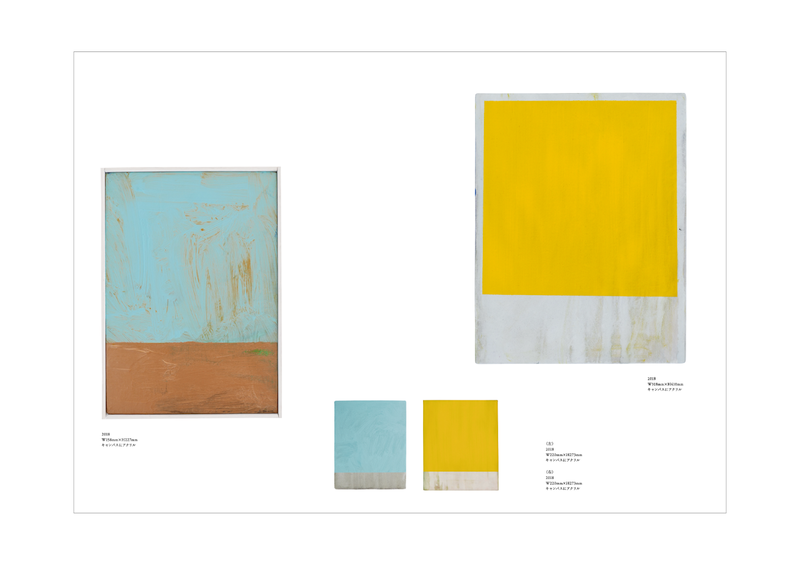 If you sell, have to pay 30% of sales to gallery. I'm gonna join in the event at SHIODOME and will show paintings and kiborikokiborio that is brand run by me and SHIMAYA the designer. Then I wanna do "open studio" there so that I'm looking for models for portrait. If you be interested in it, contact me please. Come with your art... and beers. But it will make me glad to hear from you. I want to make this event fun to everyone ofcourse course to tourists course to challenged persons. Please show your arts or researches or something like that and talk on them. And you can bring beers if you want. 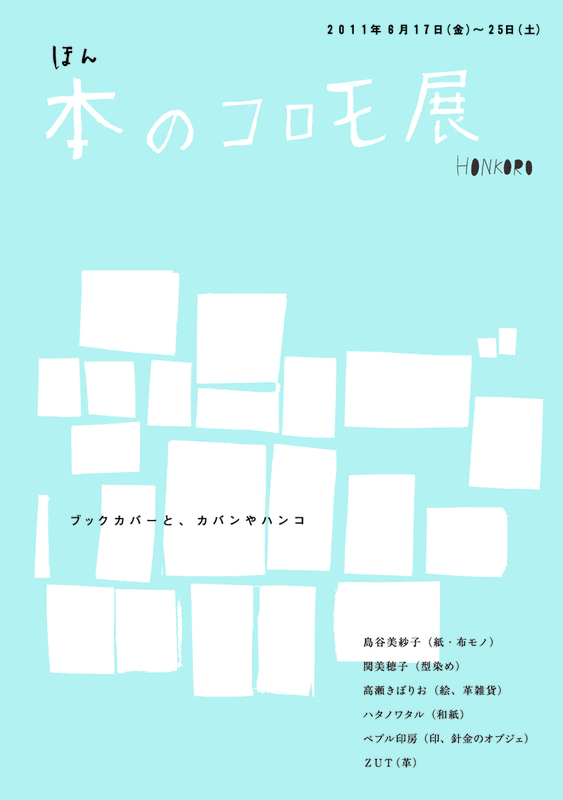 I show notebooks of kiborikokiborio, which I and graphic designer Shimaya carry on. from 22nd Apr until 5th May 2010.